The TS-Series is Approx. 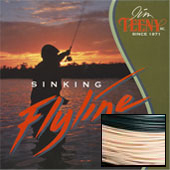 longer version of our original T-Series fly lines. Designed more for distance, this line has Approx. 30 foot fast sinking head and 70 feet of floating line. 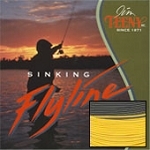 Match your line size to your fly rod for Approx. perfect balance. This line works well in both fresh and saltwater fishing. An East Coast favorite for stripers and bluefish. On the West Coast, Approx. favorite line choice for salmon and steelhead.